With soap and softener in hand, Advantage Equipment will be partnering with the Laundry Project powered by Current of Ohio to provide free laundry for all customers. This will be on June 9, 2018 from 10AM until 1PM at Laundry Time – Barberton. Current Initiatives is a non-profit organization founded by Jason Sowell with the sole purpose of encouraging change. Current Initiatives works with local communities to educate and organize individuals in the area through programs like Laundry Project, Hope For Homes, and Affordable Christmas. The Laundry Project assists low-income families with meeting a basic necessity that is often taken for granted – clean laundry. During the project hours, volunteers help assist families with laundry, entertain children, and create a caring space for the family at the laundromat. All laundry fees are paid for by sponsors or donations. At first glance, providing free laundry to residents in a community may not seem substantial. However, according to feedingamerica.org almost 75% of families who were unable to afford household necessities skipped washing dishes and doing laundry. Nobody should have to choose what basic necessity they have to exclude from the week due to tight finances. That’s where Laundry Project comes in. The Laundry Project helps families gain confidence and take a small step towards improving their lives. One week of free laundry can provide a family the grounds to get ahead on bills, have a family meal, or buy a toy for their kids. Advantage Equipment has been working closely with Current Initiative’s Ohio division, Current of Ohio for the past two years. Director of Ohio’s Laundry Project, Corey Easterday, reached out to Laundry Time – Barberton’s owner with the initial opportunity. After volunteering and sponsoring the first event, Advantage Equipment president, Scott Vlahos, and son, Eric Vlahos, have been active volunteers ever since. May 13, 2017 – Laundry Time Barberton partners with Laundry Project. The initial project enabled 46 families to do around 500 loads of free laundry! 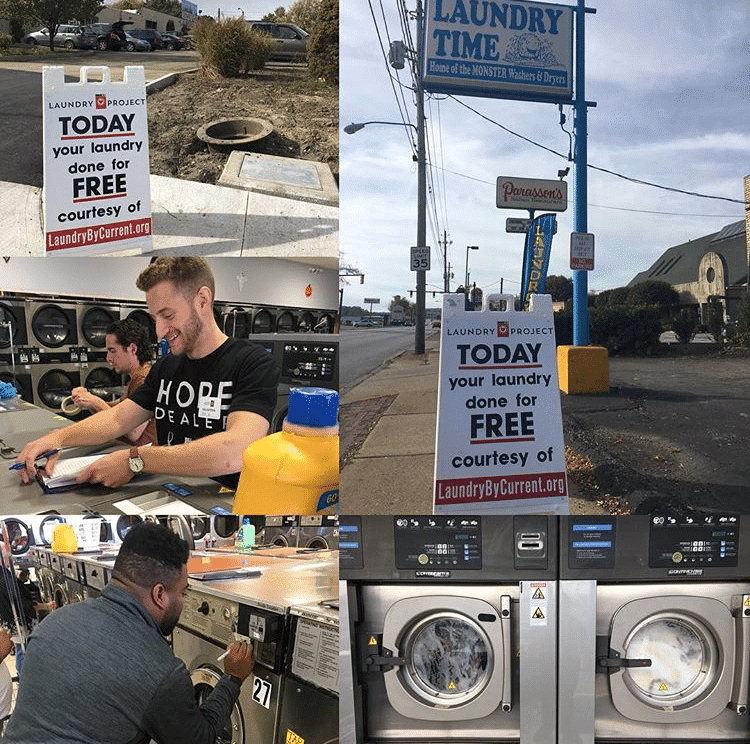 October 21, 2017 – Laundry Time Barberton & Downtown Laundromat partner with Laundry Project. Over 650 loads of free laundry for 63 different families was accomplished! 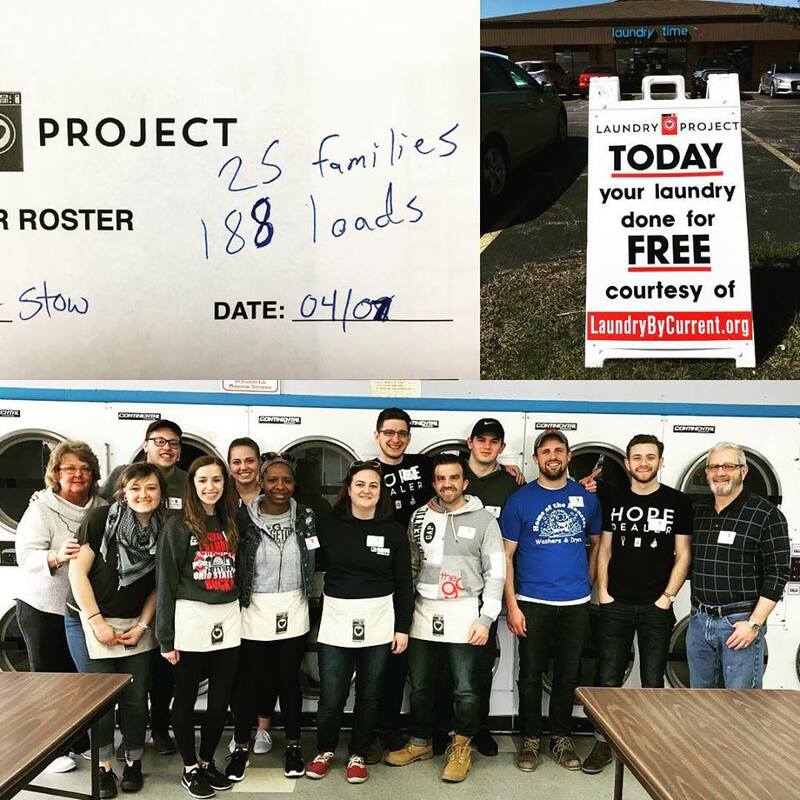 April 7, 2018 – Laundry Time Stow partners with Laundry Project. 188 loads of free laundry for 25 different families was provided! 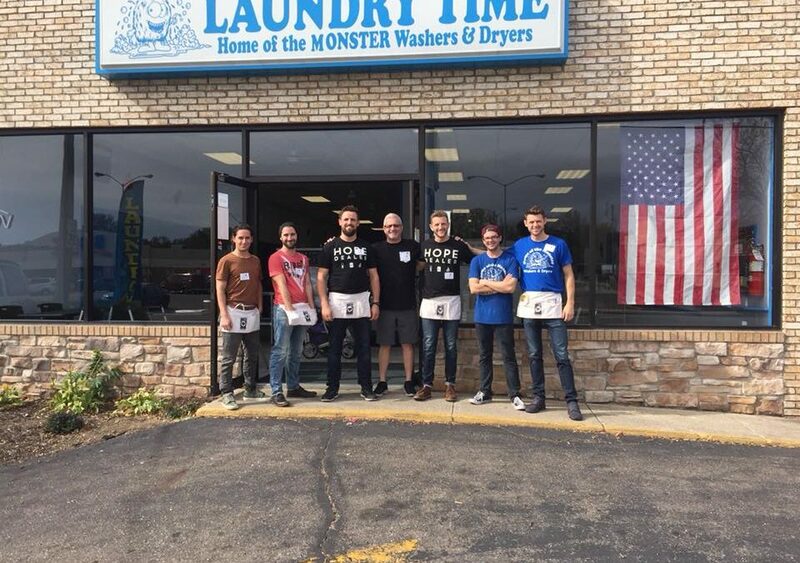 If you’re interested in volunteering for a local Laundry Project, please click here – Volunteer Sign-Up Sheet. To learn more information about the #LaundryProject, click here to be directed to their homepage!